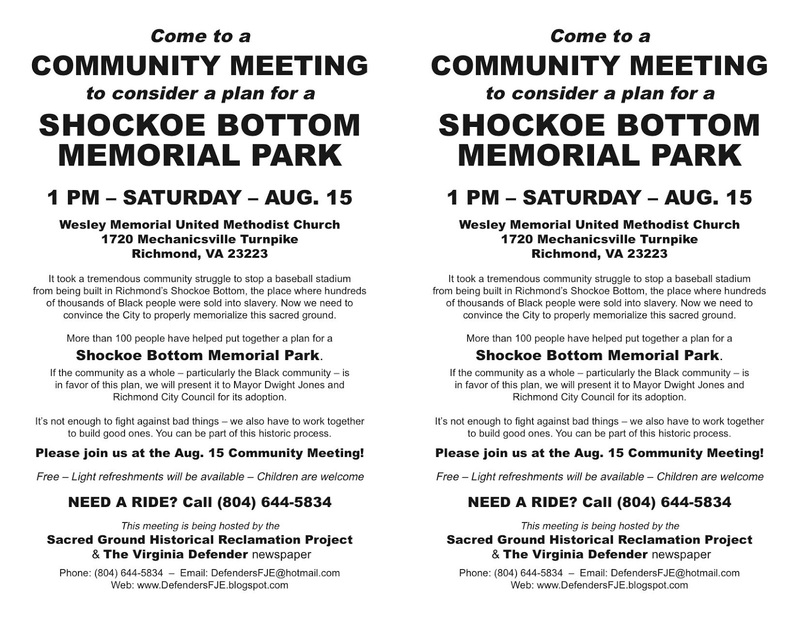 AUG. 15 FLIER: Attached is a flier promoting the Aug. 15 Community Meeting to consider the Alternative Proposal for Shockoe Bottom. Please share it with all your friends and contacts and encourage them to attend this critically important meeting. 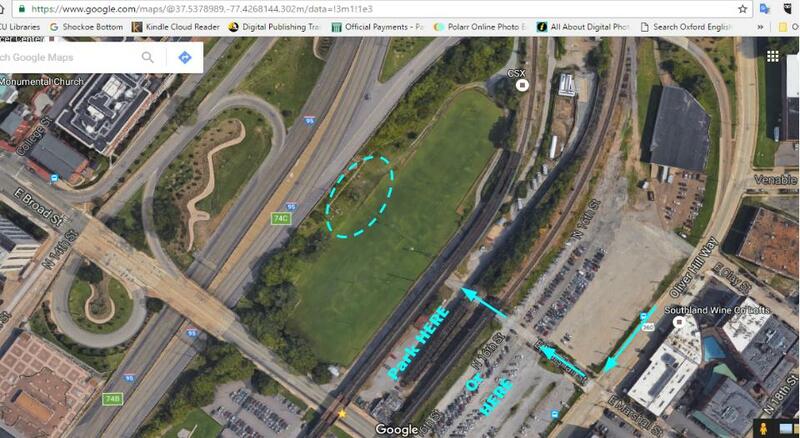 The mayor and his allies will be watching to see what kind of community support we have. If the meeting is large, we're in good shape. Please help to make it a success. 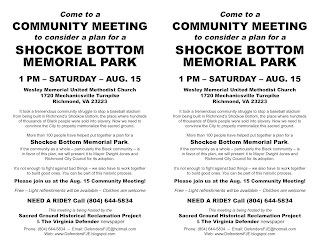 Note: If you can download and print out the flier for hand-to-hand distribution, it's designed to print on an 8 1/2" x 11" sheet of paper and then be cut in half, to save paper. Thanks!